Prayer, Doctrine, Life and Evangelization: are we coherent? In November the president of the Pontifical Council for Justice and Peace Peter Cardinal Turkson, 63, gave an interview to Zenit on his new work as the head of a Roman office after being a pastor of a diocese in Ghana. 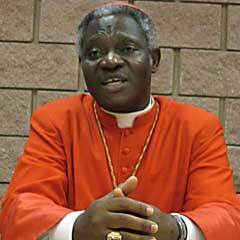 Cardinal Turkson is a trained biblical scholar. My point of bringing this matter up is that those of us who make the claim to be faithful Catholics need to live the faith as though Jesus Christ truly mattered and that what we profess at Mass and in prayer is lived according to correct doctrine while sharing the Good News of Salvation coherently. Cardinal Turkson is not the first to say that we don’t always understand social justice, but we need to put a greater effort in doing so. How do we imitate the love of God for other? The Pope named Father Savio Hon Tai-fai, a member of the Salesians of Don Bosco, 60, the Archbishop Secretary to the Congregation for the Evangelization of Peoples (the Vatican office responsible for missionary efforts). 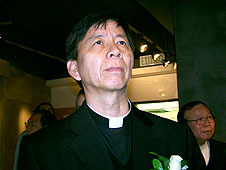 Archbishop-elect is a native of Hong Kong was ordained a priest 28 years ago. He’s well-regarded as a person, a good priest and an accomplished teacher and author; Hon has served on the International Theological Commission. The Congregation for the Evangelization of Peoples was founded by Pope Gregory XV in 1622 with the decree (papal bull) Inscrutabili Divinae Providentiae and was known until 1982 as the Propaganda Fide. 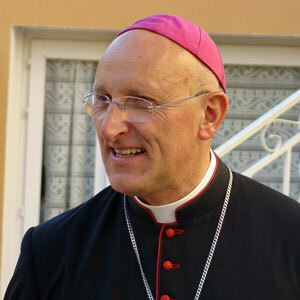 The new archbishop will assist His Eminence, Ivan Cardinal Dias, who serves as the Cardinal Prefect. The Congregation for the Evangelization of Peoples hosts a multilingual website.